I am not a lipstick junkee but I do enjoy light weight and matte lipsticks a lot and when we talk about matte lipsticks how can MAC Retro Matte range not be mentioned! As we all know couple of months back MAC launched few new shades in the Retro Matte range and thankfully most of the shades are made permanent! The texture of these new lipsticks is inspired from the highly raved and cult favorite Ruby Woo but the only difference being these are much less drying. The packaging is same as regular MAC lipstick line and has the same standard vanilla fragrance which to be honest I am not a fan, I don't like sweet fragrances in general however the MAC vanilla fragrance is not so strong and empowering. The shade All Fired Up is gorgeous pink with red undertones! I don't own Ruby Woo so I cannot compare the texture but this one definitely does not feel too drying on my lips. Its completely matte and hence very long lasting, I have worn it for 5 to 6 hours with a full meal in between, even after the meal it leaves behind a nice pink stain on the lips. The only problem is that it feels little bit drying after 3 to 4 hours so if you suffer from dry and chapped lips exfoliation and lip balm is a must before applying the lipstick. If you want to try red lips but like me don't have the courage to go for bold and bright red shade like Ruby Woo this is a good option to try and looks very flattering on every skin tone! wow..that's a pretty shade.looking too good on you! !....will definitely check this out next time I visit the store!! WOW - that is one lovely shade. and looks so fab on you! which foundation? & love the wing! MAC Pro Long Wear NC42 Bee :) Thank you! Beautiful is the word for you! looks gorgeous on u!I feel these kinda shade suits u more! It looks awesome on you! Loved it! 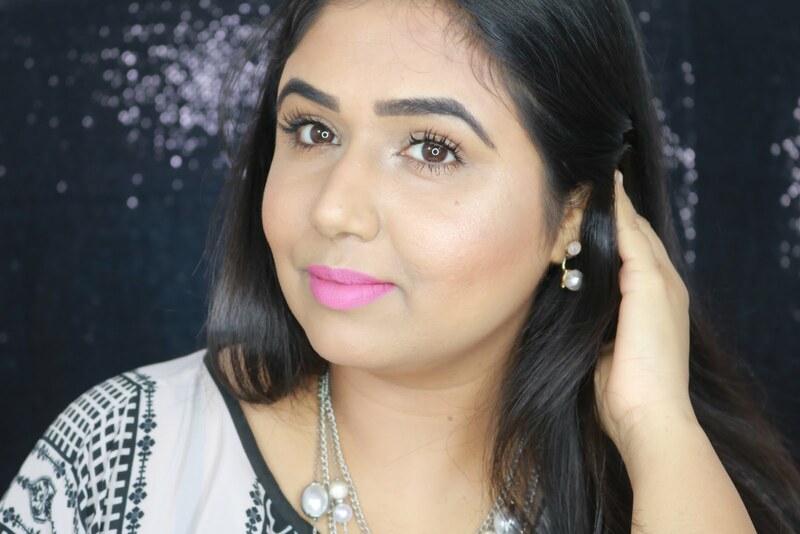 This is one of my favorite lip colors to wear :) It looks lovely on you! This is such a secy shade and i really wanted to buy it when i tried it at the store. However it was too drying for my lips :'( its looks amazing on u! me too Dipti! thank you!